Judges in a Virginia felony or class 1 misdemeanor Circuit Court jury trial sitting with a jury must first preside over a jury sentencing trial (if the jury convicts) before the judge sets the final sentence. Va. Code § 19.2-295.1. As a Virginia criminal lawyer, I know that juries can be a big sentencing risk, in that they are not instructed about judges’ subsequent options to suspend or reduce part of the jury’s sentencing recommendation and to place the defendant on a period of probation, are not told about Virginia’s advisory sentencing guidelines, and cannot tell the judge how they might have sentenced had the sentencing range not begun at zero days versus several years. 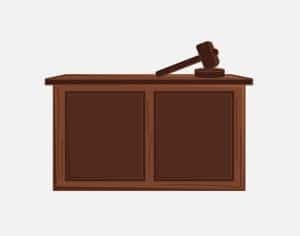 A judge in Virginia may not try felony criminal cases nor misdemeanors appealed to Circuit Court without a jury unless both the Commonwealth/prosecutor and defense agree to waive a jury trial. As a Virginia criminal lawyer, I know that jurors in the Commonwealth include those who through the 1960’s attended racially segregated schools and restaurants, entered racially segregated public bathrooms, and saw people prosecuted for racial intermarriage. Regardless of how much Virginia’s racist past creates more risk for courthouse racism than in non-Southern states, it simply makes more sense and fairness to give a criminal defendant the sole decision whether or not to waive a jury for his or her trial. Meanwhile, a Virginia criminal defendant needs to consider racial bias in all aspects of the proceedings, not only with jurors, but also with the bench, prosecutors, police and opposing witnesses. A judge in Virginia does have the limited power to exceed a jury’s recommended sentence for a convicted criminal defendant in a felony case, for not more than three years, and only if the judge makes clear that the extra incarceration is imposed pursuant to Va. Code § 19.2-295.2, which in pertinent part provides that the judge may “impose a term of postrelease supervision of not less than six months nor more than three years, as the court may determine.” Thomas v. Virginia, ___ Va. ___, 819 S.E.2d 437 (2018). Virginia criminal lawyer Jonathan L. Katz devotes nearly 100% of his law practice to defending those charged with felony, misdemeanor, DUI/DWI, drug and marijuana offenses. To discuss your case with Jon Katz, please call his staff at 703-383-1100 to schedule a confidential consultation.